Making holiday cookies is something I look forward to each holiday season. Since the kids were young we find a day to make our gingerbread house and decorate sugar cookies. 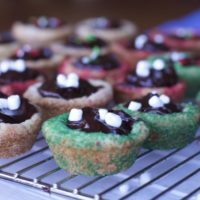 Now that that the kids are older, I have decided to take it up a notch and recreate these adorable hot cocoa sugar cookie cups I found on Pinterest. However, know they had to be transported to a party I bypassed the “mug” part and just made these yummy sugar cookies with a hot chocolate center. Even when I make our traditional cut out cookies, I don’t have sugar cookie recipe that was handed down for generations I cheat and use a packaged Sugar Cookie Mix. 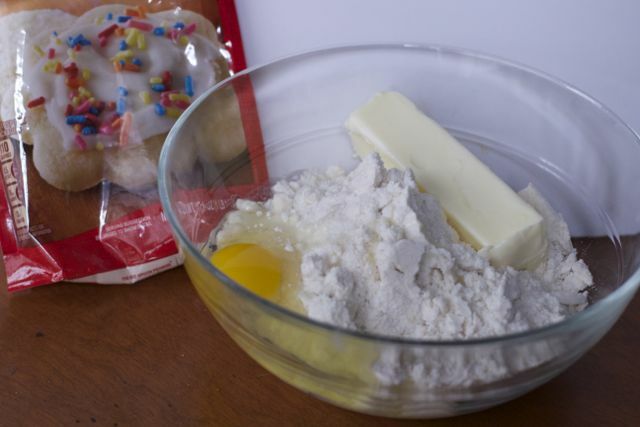 Since you add the eggs, butter and water to a dry mix, they taste like ones made from scratch. You don’t get that aftertaste from refrigerated cookie dough. 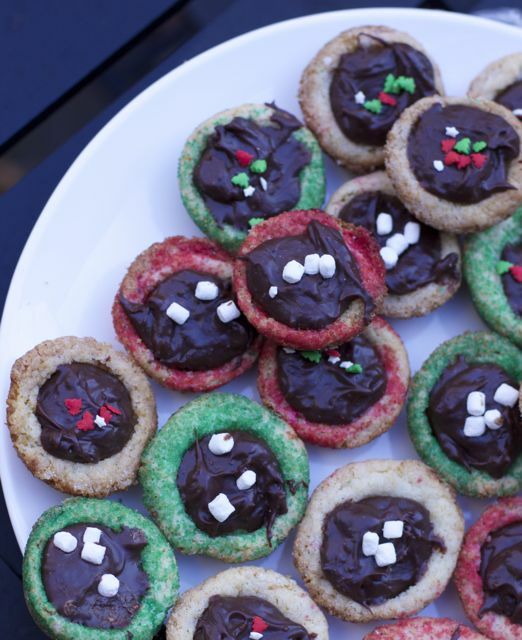 To make these adorable hot cocoa cookies, you will need to first follow make your favorite sugar cookie dough. 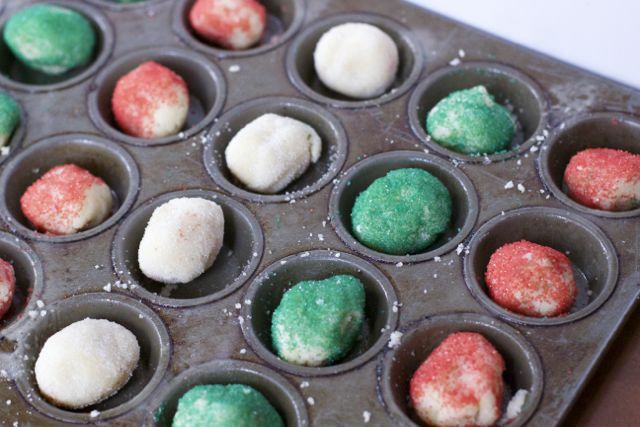 Make 1 inch balls of dough and roll them in colored sugar. Place into sprayed mini muffin tin. Bake per directions. Before they cool completely lightly press the the middle of each cookie in slightly to make a well for your hot cocoa. Make your ganache and allow to cool slightly. (You can add peppermint extract if you would like). 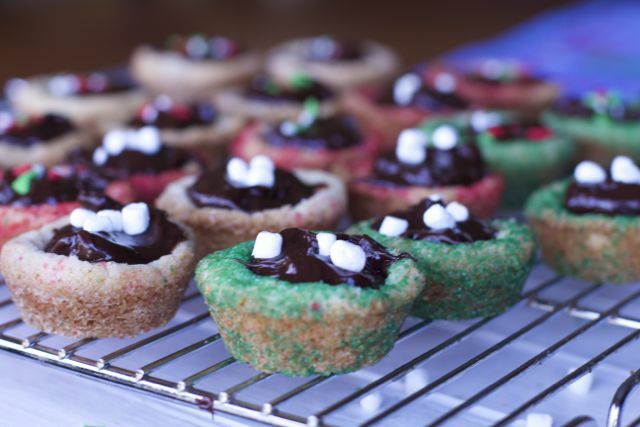 Pour a small amount of ganache into each cup and top with a few marshmallows or sprinkles. Allow to set. Now you can place these on a cookie tray and your guests will compliment your creativity and you know how easy it was! 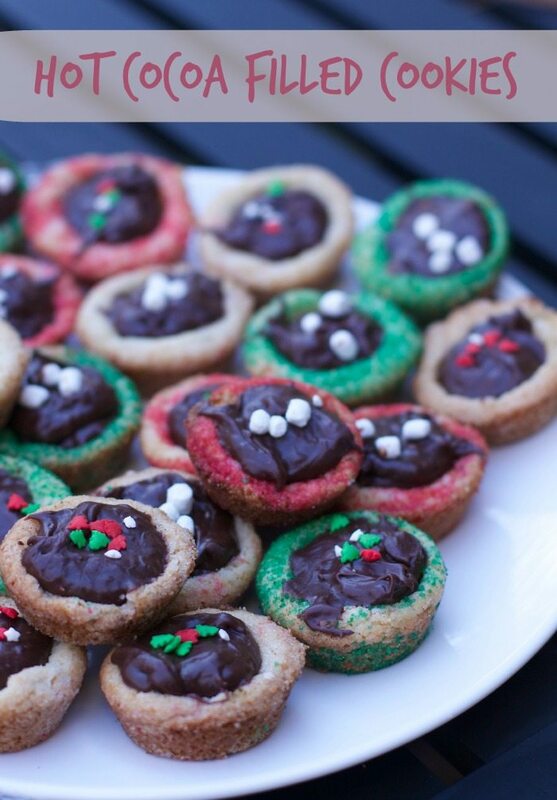 The extra effort in making the ganache is forgotten with the ease of making the sugar cookie dough! But how hard is it to heat up cream and add chocolate. Super easy! 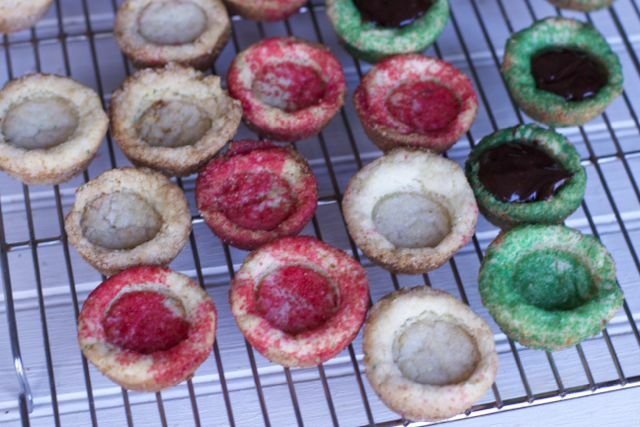 Put 1 tablespoon or small ice cream scoop of the sugar cookie dough into 24 greased mini muffin tins. Bake for 12-14 minutes at 375 degrees. Make a small denture in the dough to fill it with ganache. Allow the cookies to cool completely in the pan before gently removing them. Make the chocolate ganache by bringing the whipping cream to a boil. Stir in the hot cocoa mix. Pour the hot cream over the semi-sweet chocolate chips and let it sit for 3 minutes. Then, stir until the chocolate chips are melted and the ganache is smooth. Allow to set completely before storing. 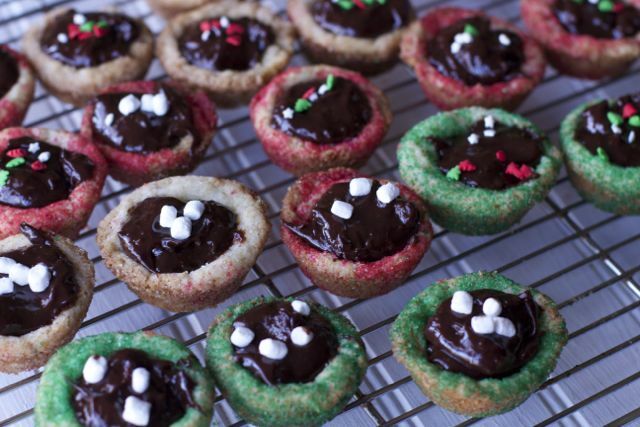 What is your favorite cookie to make with your kids?